How does NH Fish and Game and its many conservation partners around the state prioritize actions for wildlife and land management? How do you, as a member of your community and a landowner, become part of the movement to conserve and maintain New Hampshire’s natural environment? The entire state has a plan that guides conservation actions, so that you, your community, university researchers, biologists, land trusts, and other organizations are all working towards NH’s most important conservation goals. 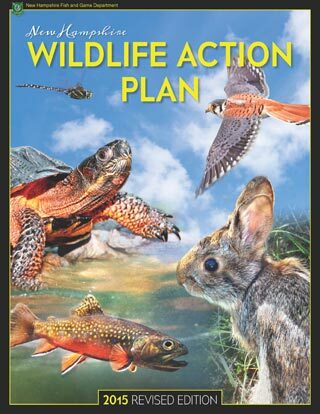 This is the New Hampshire Wildlife Action Plan. This Plan first became available in 2005, and has now been completely updated and approved by the US Fish and Wildlife Service. 1. Where are they now? Current distribution and abundance of wildlife species. See Chapter 2 and the Species Profiles. 2. How are they doing? Location and condition of habitats critical to species' survival. See Chapter 3 and the species and habitat profiles. 3. What is threatening their survival? Identifying problems that may harm wildlife species and habitat, and priority research needed to adequately address conservation actions. 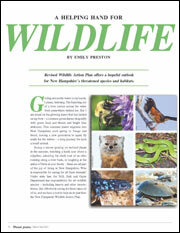 See Chapter 4 including the individual risk assessments and the species and habitat profiles. 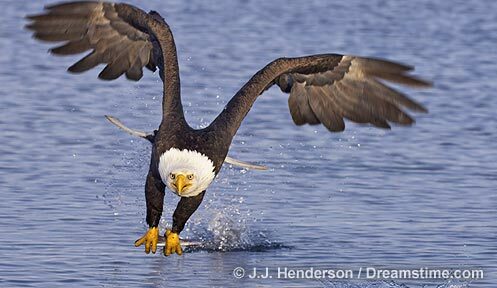 Actions and strategies for conserving wildlife species and critical habitats. See Chapter 5 and the species and habitat profiles. 5. How do we know what we are doing is working? Monitoring of wildlife populations and habitats and success of prescribed conservation actions. See Chapter 5 and Chapter 6, and the species and habitat profiles. 6. Do we need to make some changes? Assessment of the Plan at intervals not to exceed ten years. See Chapter 6. 7. How are other agencies going to be participating in the planning process? Involvement of federal, state, local agencies and Indian tribes that manage lands or programs affecting wildlife. This is incorporated throughout the plan, but is specifically addressed in Chapter 1, Chapter 5 and Chapter 7. 8. How is the general public participating? Public participation is imperative for successful completion and implementation of the Plan. NH had a series of public input sessions and surveys; See Chapter 1 and Appendices J through N.
What is in the New Hampshire Wildlife Action Plan?